Nintendo Says They’ve Finalized Wii U Box Art Designs. They Probably Look Like This. 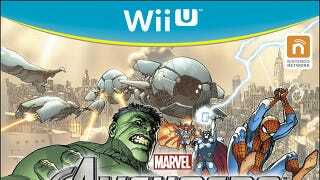 The leak of Wii U box art for a few Ubisoft titles got people wondering if the images seen online were real. Then Ubisoft confirmed the leaked box art was in fact legit. Now Nintendo is chiming in. Nintendo has finalized the design of the Wii U game box art, and many of our publishing partners have already incorporated it into their own game packaging. We are seeing those game packages online as retailers are starting to showcase their games. Nintendo-published game boxes will appear shortly with placeholder logos, and then ultimately with the final artwork for each game.